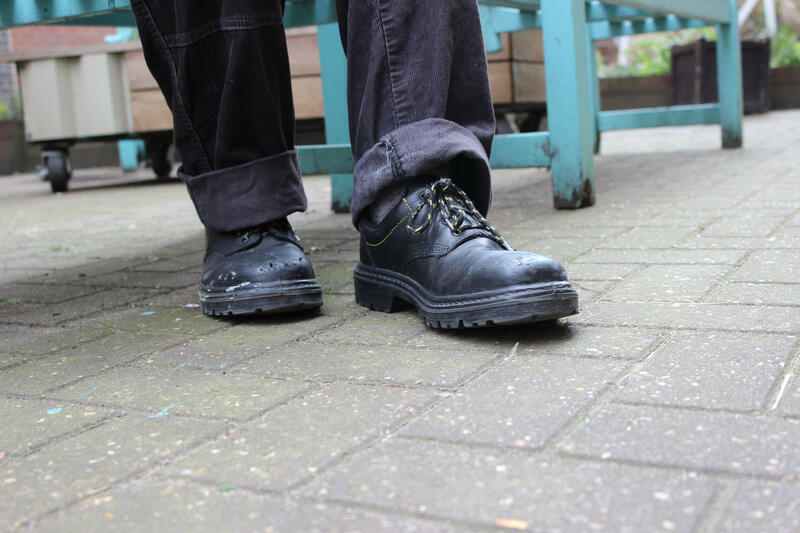 We recently met Sean to find out how Providence Row helped him. Sean* is in his late 60s and came to us for the first time 3 months ago. At that point he was homeless, was not accessing his pension and had not seen a doctor in some time. He was still working but was having problems with his legs and sight and had realised he could not continue working. When I first came to Providence Row I was basically homeless, no NI number, no NHS number. I didn’t even have a birth certificate so I was basically starting from scratch. When I came here I had nothing. I was staying with a friend, or someone I thought was a friend. It was comfortable enough, but apart from that I had nothing. I had to give up work because of my legs and that left me with no income altogether. When I came here I was under the impression that this was just a hostel – I didn’t know there was a service like this. I came here on pure speculation. When I came over and Jonathan explained the services here – that was when things began to get better for me. I had a feeling inside me – I just knew that Jonathan was going to help me. He had a great attitude and a confidence in his ability to get things done for me. Before my legs got as bad as they have become, I could work. I could earn money. I could pay rent. And do everything else I needed to do. I’d never had health problems until the last year, and since then they’ve progressively got worse until finally I had to stop working. If I could work I would, but I can’t. Believe me I was killing myself. The first thing Jonathan said when he met me was to make sure I ate that day because I was very frail. I was in so much pain. For people like Sean who are affected by homelessness, many of the services and support they need requires them to submit online applications. Unfortunately for some, who have little experience of computers this makes finding help and support even more challenging. If you ask me to use a computer I haven’t even got a clue how to switch it on, let alone apply for things. I couldn’t have done it myself. I’m basically helpless. So thank God for people like Jonathan. Jonathan got my birth certificate from Ireland. He got my NI number, my NHS number, my pension, my bus pass. Everything. Do you think I could do that myself? The answer is no, I couldn’t have done that myself. This man is extremely good at his job and extremely kind and I can’t say anything else. My hope now is to improve my health. If I could walk around normally and get my eye sorted. That’s a big worry for me. I’m waiting for the results of the scans on my legs. I feel like I’m back to square one with that. I’m having to travel every day from another part of London. If my legs and eye sight were alright I’d probably still be working. Perhaps it was better my legs went bad because otherwise I’d have been working until I was 90 which isn’t good for anybody. Hopefully I’m on a new path now so let’s see where this leads to. Hopefully it’s better. The people here [at Providence Row] couldn’t be more helpful. What else can I say? From day one, from minute one, everyone has been really nice to me. It has become more like friendships than anything else. You can support our work with people like Sean* by making a donation today. *Sean's name and some details have been changed to protect his privacy.